The first superyacht with Porsche DNA, the 35-metre GTT 115 Hybrid blends comfortable high-speed cruising with transatlantic crossings. Only seven will be built, making this a truly exclusive collector’s edition. 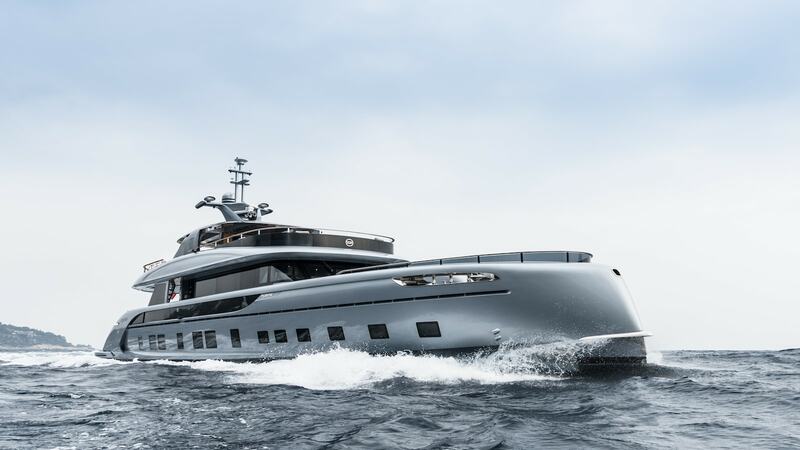 GTT 115 was constructed to the highest quality at Dynamiq’s dedicated shipyard in Viareggio in collaboration with top industry contractors for the aluminium welding, stainless steel work and teak decking. She features a sporty chic interior that includes fine Sahara Noir marble, high-gloss Macassar ebony, Persian carpets and hand-stitched natural leather. The yacht comfortably accommodates six guests in three luxurious cabins.